Unlike my other book for learning Spanish, which is intended for those interested only in Spanish as it's spoken in Spain, this book is intended for anyone who is interested in Spanish as it's spoken all over the world (that is to say, both in Spain and in Latin America). 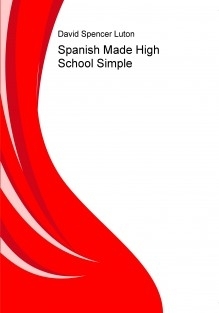 As a veteran high school Spanish teacher with more than fifteen years combined experience teaching both Spanish and English, I've always believed in presenting a foreign language in an easy, organized, step by step fashion, and thus the book you have before you! I am uniquely qualified to write this book since I initially studied and spoke Latin American Spanish and did my studies abroad at the University of Guadalajara in Mexico, and I currently live in Spain (and have for more than four years). For that reason, I have a knowledge and appreciation of Spanish as it's spoken both in Latin America as well as in Spain. This book presents phrases useful in everyday life and basic vocabulary as well as basic to intermediate grammar.